The Book Garden: Pajama Musings - Once there was a movie, now there is a book! Pajama Musings - Once there was a movie, now there is a book! How often are books that made it to the big (or small) screen being discussed on blogs? Quite a lot I would say. How often have you thought about it the other way round though? Movies that jump onto the franchise wagon and bring not only a flood of shirts and coffee mugs along with them, but also make novels pop up in bookstores. We've all seen the often dreadful new cover versions of beloved classics which suddenly feature a scene from a movie. But then there are those books who never had a "previous cover" as they were born along with the movie itself. I still remember when I was a teen I read a handful of such movies-to-book volumes, usually because I wanted to extend the whole awesome-movie experience without watching the movie a dozen times. Want to know the first book that came to my mind? The Alien trilogy. Quite surprising, isn't it? 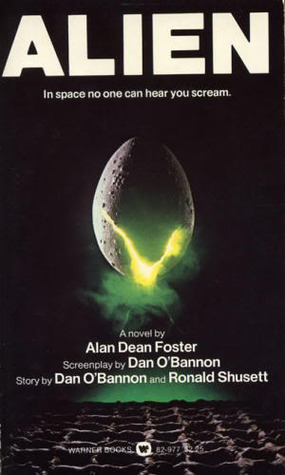 And as far as I remember Alan Dean Foster's novelization of the first movie wasn't bad at all, in fact many scenes were more fleshed out and as thrilling as the movie itself. Of course this wasn't the only movie-tie-in which made it onto my shelves back then. I also vividly remember both watching and reading Sneakers by Dewey Gram solely because I had a bit of a crush on River Phoenix back in the days. While doing a little research for this blog post I also noticed that it's often the same authors popping up when these kinds of novels are concerned. Especially Dewey Gram, journalist and screen writer, has written a fair share of movie-tie-ins. I guess it's only a small step from writing for the screen to writing for the reader. His novelizations include Gladiator, Dante's Peak and Ocean's 11. Science-fiction author Alan Dean Foster is probably better known, especially by fans of the genre, and apart from his own books he also wrote novelizations of Star Trek The Animated Series or more recently Terminator Salvation. As much as books-to-movies go, many will find the movie version lacking, but what about those movies-to-books then? Are they possibly worse than the movie or are they on par with their big-screen sibling? From what I remember, there were several enjoyable books I read in my teenage days. Not sure whether I'd feel the same way about them today though and admittedly I haven't read any movie-tie-ins in ages. But maybe you have! Have you ever read books based on movies? If so, which ones? How did you like them compared to the movie? Or maybe you would never dream of reading movie-tie-ins? Let me know! I'm not sure which came first on this one. I read "To Kill the Mockingbird" first then later I saw the movie. I thought it brought out more color to the characters. (Not litteraly) It was in black and white movie. Some disaagree but I thought it did. Both stayed in my mind for a long time afterwards. That was a lot of years ago. Good question. I think the book came first in that case? 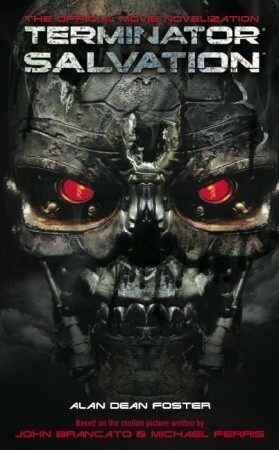 Interesting though that you felt the movie was better than the book as far too often it's the other way round. As I've neither read or watched it, unfortunately I can't throw in my 2 cents now. I can't think of any and I don't really see the point of them. The other way round makes sort of sense as people would like to see the pictures on screen that they alread yhave in their heads (as pointless as this is as well). But to read a novelizationm after seeing the movie? No! Unless, unless it is a continuation of the story, you know, you never want the movie to end and someone takes pity on the movie fans and writes the sequels (but that is more a Buffy/Angel phenomenon, I think). Oh dear! I just remembered the 90210 books I used to buy as a teenager *blushes*. As to your question about whether these books have a point, well you could argue what's the point in making movies out of books? Not to say I'm not sometimes curious about how a book will fare on the big screen (though more often than not it's proved disappointing). Come to think of it - I guess we usually tend to prefer what came first, book or movie, and what follows, dramatization or novelization, has a hard time to live up to our expectation. Yay! We really are two birds of a feather!